Alexander Florence is Dean of The School of Pharmacy at the University of London; he was previously James P. Todd Professor of Pharmaceutics at the University of Strathclyde. His research and teaching interests are drug delivery and targeting, dendrimers, nanoparticles, non-aqueous emulsions, novel solvents for use in pharmacy and general physical pharmaceutics. He co-authored the book Surfactant Systems: their Chemistry, Pharmacy and Biology with David Attwood. David Attwood is Professor of Pharmacy at the University of Manchester; he previously lectured at the University of Strathclyde. His research interests are in the physicochemical properties of drugs and surfactants, and in polymeric drug delivery systems. He has many years' experience in the teaching of physical pharmacy. Pharmacy has one unique scientific discipline - pharmaceutics - which is the study of drug formulations and their design, manufacture and delivery to the body. In brief, pharmaceutics is about the conversion of drug substances into medicines suitable for administration by or to patients. There are other vital component disciplines in pharmacy. The way drugs act in and on the body is the domain of pharmacology; the science of drug design and analysis is that of medicinal and pharmaceutical chemistry. There is no clear dividing line between these subject areas. One cannot design formulations without a comprehensive knowledge of the chemistry of the drug substance, nor study how medicines behave in the laboratory or in patients without good analytical methodology. An understanding of the pharmacology of a drug is crucial not only to the proper design of an optimal delivery system, but also to the practice of pharmacy. There is certainly no dividing line in the sciences underlying these subjects, and the physical chemistry that operates in the formulation laboratory is the same that holds within the human body. The forces acting between suspension particles and the walls of a container are the same as those acting on bacteria adsorbing onto a catheter or intestinal wall. The boundary conditions might differ, but the principles are the same. An understanding of the rules that govern what keeps drugs in solution in an infusion fluid allows us to predict the extent to which a drug might precipitate in the renal tubules or in the blood after injection. Studying the solid state properties of drugs should not only provide vital information for formulators but might also help us to understand the formation of crystals in joints or in the kidneys, and how to dissolve them or prevent their formation. You will find many such examples in this book. Undergraduates beginning their study of pharmacy have often been surprised at the amount of physical chemistry they are expected to absorb, when they had expected a more biological flavour to their diet. But the biological processes in the body do not operate and exist in some special nonphysical world, although it is true that they are usually more complex than the processes we control in the test tube. So in this book we not only try to give the physicochemical basis for understanding pharmaceutical formulation and drug delivery but we also stray, as we must, into areas which in the past others would have called pharmaceutical chemistry and pharmacology, biochemistry even. It is important that the underpinning sciences are used intelligently by pharmacy graduates, and not separated into compartments. Although in the book we have minimised the derivation of equations, the value of appreciating the way in which an equation is derived is that one understands its limitations. Sometimes it is useful to be able to derive an equation from first principles. It would be sad if the modern pharmacist were an empiricist at a time when the science of drug development and drug therapy has become much more quantitative and predictable. It is, of course, not always possible to apply precisely the equations in this book in the complex world of multicom-ponent medicines, especially after their administration, but rigorous physical chemistry is the starting point for quantitative understanding. Equations often apply only in extremely dilute solutions, so the caveats in the derivations of equations must be noted. Nevertheless, the knowledge of the way in which the solubility of a drug increases or decreases with change in the acidity of the stomach or the intestine is a useful beginning in the understanding of the complex process of drug absorption. This book is not a complete survey of all the physical chemistry underlying pharmacy, but we have selected the most important in pharmaceutics and biopharmaceutics, without dealing with pharmacokinetics or with many aspects of pharmaceutical production, which are covered in specialised textbooks. In any medicine, the drug molecule is central, whether we are dealing with its formulation, its delivery, its analysis or its activity. The formulation itself might simply be a means of delivering the dose conveniently to the patient, or it might have an influence on the site of delivery or the time course of action. Rational formulation requires a firm understanding of the physical mode of action of excipients in formulations. It is therefore vital that we understand the physical chemistry of materials used in formulations to control the rate of release or to solubilise insoluble molecules, to stabilise or to suspend or to form microspheres and nanoparticles. These so-called adjuvants or excipients are generally regarded as inert, but few substances are totally inert and some, such as a number of surfactants, may be biologically active and indeed harmful if used inappropriately. 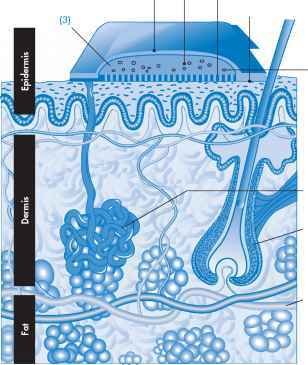 Surfactant toxicity has its roots in surface activity and hence membrane activity. How is the book arranged? In the first few chapters we examine the properties of drugs and excipients in the solid state and in solution. Gases also are treated because of their importance in the design and use of therapeutic pressurised aerosols, which until recently have been derived from chlorinated fluorocarbons (CFCs), but now are based on volatile fluorinated hydrocarbons (HFAs). Special classes of materials are also considered in separate chapters. Colloidal systems (which are those comprising particulates generally below 1 ^m in diameter), including many suspensions and emulsions, are experiencing a renaissance in pharmacy because of the use of microparticles and nanoparticles in drug targeting and controlled drug delivery. Polymers and macromolecules, used widely in pharmaceutical formulations as excipients in many forms, as hydrogels, lipogels, viscous solutions and solid matrices or membranes, are treated in one chapter. Proteins, peptides and oligonucleotides have a chapter devoted to the pharmaceutical challenges they pose because of their size, lability and physical properties. Surface activity is a phenomenon that has widespread consequences. Surface-active substances are those which adsorb at surfaces and lower surface tension; these so-called surfactant materials have a wide applicability in pharmacy. In micellar form they can solubilise water-insoluble drugs and many at low concentrations can increase membrane permeability and aid the transport of drugs across biological barriers. Many drugs have surface-active properties and this might have consequences for their activity and behaviour. 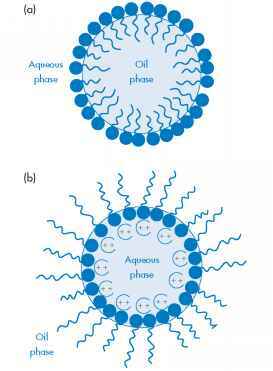 The topic is summarised in a chapter on surface activity and surfactants. Crucial to the whole subject is the process of drug absorption, and how the physical properties of drugs and their formulation can influence the rate and extent (and sometimes site) of absorption. The oral route and the many alternative routes to achieving systemic levels of drugs are reviewed in a chapter which deals with the basics of the absorption process common to all routes of delivery, and then with the individual routes of administration and the way in which the physiology of the route influences the design of formulations and the behaviour of drugs. Drugs are frequently given together and some interact with clinically important consequences. Often these interactions are pharmacological, but some have a basis in physical chemistry. Incompatibilities might arise from electrostatic interactions between oppositely charged drugs, or from complexation between drugs and ions or drugs and polymers; these and a variety of other interactions are discussed in the book. It is not always possible to predict the behaviour of drugs and formulations in the complicated environments in which they find themselves in vivo, but this should not deter us from at least attempting to rationalise events once they have become known; in this way our predictive powers will be honed and will allow us to prevent adverse events in the future. Some unwanted effects are due to the degradation of drugs and drug formulations; the examination of stability is an important part of assessing the suitability of formulations. This requires a good understanding of the chemistry of the drug substance and reaction kinetics. This too is the subject of a chapter. Figure I.1 A drawing of a typical transdermal patch system to deliver drug into the systemic circulation by way of the skin. Drawn here is the system with (1) a reservoir containing the drug adsorbed to (2) lactose particles in (3) an oil; (4) the ratecontrolling membrane, a copolymer whose thickness and composition are altered to achieve the desired rate of transport of the drug; and (5) the adhesive layer, also a polymer, although liquid, which attaches the patch to the skin. The basic structure of the skin (6) illustrates the routes of penetration of the drug through this barrier layer into the systemic circulation via the capillary blood supply (7). Almost any of the topics discussed could be the subject of a complete textbook in its own right. The objective of this book is to present sufficient of the physical chemistry in context to illustrate the many and varied areas of pharmacy which the subject can illuminate. If we wish to understand what makes modern delivery systems work at more than a superficial level, we would advocate close reading of all the pharmaceutical sciences, of which the topic of physical chemistry forms one important part. Examination of just one such delivery system (Fig. I.1), a transdermal patch, can bring into focus the diversity of physical phenomena that are involved in the design, use and action of delivery systems. One could list these as adsorption, the stability of suspensions, molecular transport through polymeric membranes, adhesion, the interaction of drugs with polymers, the physicochemical properties of the skin and the diffusional characteristics of drugs in the subsections of the skin, including crossing the capillary membrane into the blood. Perhaps enough, we hope, to convince you that reading the rest of the book is necessary. Throughout this book you will come across two types of formulae: chemical (structural) formulae and physicochemical equations. 'Reading' and understanding formulae - of both kinds - is like learning a language. We often equate reading chemical formulae to reading Chinese characters. To a person without any knowledge of the components of Chinese pictograms, the beautiful shapes mean nothing. A physical equation, similarly, is possibly more akin to the first sight of Arabic: a jumble of letters and numbers to the unversed. Before we delve into the book proper, we wish to rehearse how to see the important features of chemical structures and equations.